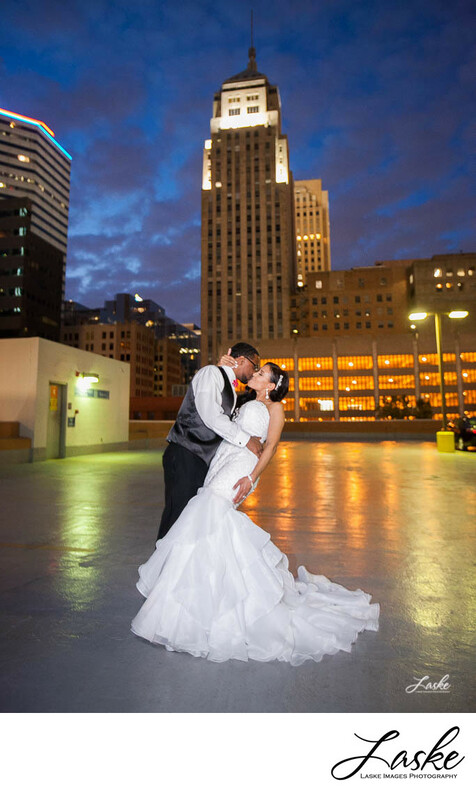 Groom tips the Bride and kisses her on the rooftop of a building in downtown Oklahoma City. Tall buildings are in the background. 1/13; f/2.8; ISO 3200; 26.0 mm.